Studying or researching Science? Let us know what you think of BioOne. 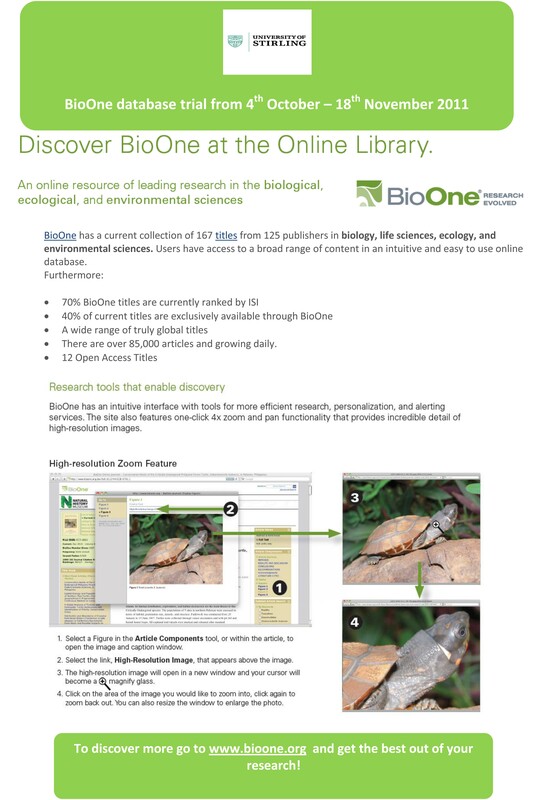 You can access BioOne via the Portal‘s A-Z list of online resources. For more details and to give us feedback, please contact Lisa Haddow or Elizabeth Andrews.